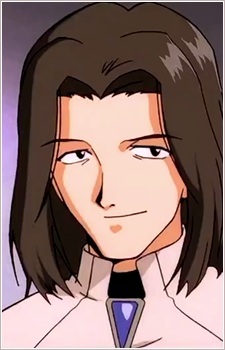 Shigeru Aoba is First Lieutenant at NERV and a computer technician. At times a stereotypical metal head, he is a nihilist and plays guitar (he can also sometimes be seen strumming an air guitar). In his implementation sequence, Lilith forces her way through his AT Field by bombarding him with a wall of Reis in which he screams in fear. She supposedly takes this tactic with his implementation because there is no one he loves or trusts enough to let his guard down, suggesting a possible layer of solitude and bitterness behind his cynical persona. Again, his character is not explored in depth within the series.